Our St Petersburg Russia Apartments can be a great alternative to expensive hotels or cheap but uncomfortable hostels while visiting the Imperial City. If you are planning to visit St Petersburg Russia for a couple of days or more, renting an apartment can be really convenient and a lovely experience if you plan it right. I know that for some people it might seem like an extravagance, but from my experience it is not. A modern style apartment in St Petersburg Russia. Staying in an apartment helps you save a little money and gives you much more privacy and independence than hotels or hostels, making your stay definitely a better experience. There are many reasons why you should rent an apartment in St Petersburg or elsewhere. For example, you get a full kitchen so you can cook your own food and save a fortune on the costs of eating out. You can have extra space, like a living room, and a dining table, so enjoy more comfort, which can be ideal for a family with kids. In addition, you can invite people in without any hotel extra charge or paper check as well as come and go as you please and eat or drink when you feel like it. Lastly, but no less important, you can even have access to a washer/dryer, so that you can wash your clothes, and much more. Therefore, if you decide to travel to St Petersburg, and you would like to rent a flat for a long or short term stay, then you have come to the right place. Here you will find a selective list of several St Petersburg Russia Apartments that offer the best combination of quality, price, and location. All the apartments listed here are fully furnished and centrally located within a short walk of most tourist attractions, shops, and restaurants. To help you find your ideal Russian apartment and make your search easier, we've organized them into different categories. Also, we've added an apartment rental guide that includes tips and additional info, which we recommend you to read. To get started just click on the links below. Please note, all our St Petersburg Russia Apartments presented on this site are privately owned and are fully equipped with kitchen, heating, washing machine, microwave and have everything you need to ensure it is your home away from home. We have individually selected each and every one of these apartments offered on our website, and ensured they are located in the best possible areas; whether you are travelling with your family, with a group of friends or on a business trip, we are sure to have an a nice flat that suits your needs and budget. We are confident to recommend our St Petersburg Russia Apartments because we know the owners personally, we have met with each one of them, so if we can trust them, you can trust us. Are you searching for a short term rental apartment in Saint Petersburg? If so before booking anything find out where and how to rent your flat with our renting guide. Get a general introduction to self-catering accommodation in Russia's Northern Capital, and read our tips and suggestions for finding the right vacation apartment. 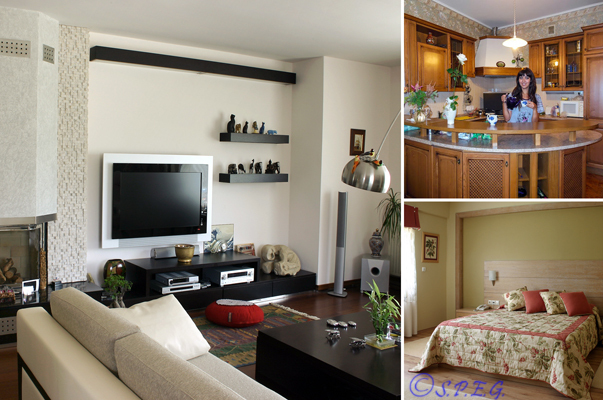 Considering a vacation rental on your trip to Russia? From condos, houses, apartments, penthouse, or villas, here you can find and book a wide range of nice vacation rentals by local owners with just a few clicks. Enjoy all the comforts of home, save money, and feel like a local. Travelling to St Petersburg on a low-budget and looking for an apartment? If so rent a cozy studio flat or a one bedroom apartment in the historical city center, save on your accommodation cost, and make yourself at home. Whether you are a student, business man, or a tourist, here you can find a list of good value apartments in St Peterbsurg Russia at a reasonable price. Coming to St Petersburg with family or friends? If you are travelling with your kids, or with a large group of friends certainly renting a place with a lot of space is essential, so that you can have fun and relax like at home. See our exclusive list of standard apartment rentals located in downtown, all family friendly, and get the most out of your visit. Looking for a lavish apartment during your stay in Russia's Northern Capital? If money is no object for you, and you want to treat yourself like a Tsar, then book one of our selection of beautiful luxury apartments in central St Petersburg, and enjoy your stay in comfort, elegance, and style.